NEWS: Allegaeon bring “Colors of the Currents”! Looking like they belong in the a 70s folk band, Allegaeon guitarist Greg Burgess is joined by Christina Sandsengen for the classical guitar song that is “Colors of the Currents” from the bands freshly roasted, ground and brewed album “Apoptosis”. It’s out now via Metal Blade Records. Incase you missed the news, Whitechapel are promising to upload select Pro-Shot performances to YouTube over their coming “The Valley” Tour cycle! They’ve started out with a cut of “Black Bear” from their 19th April set at The Palladium in Worcester Massachusetts! 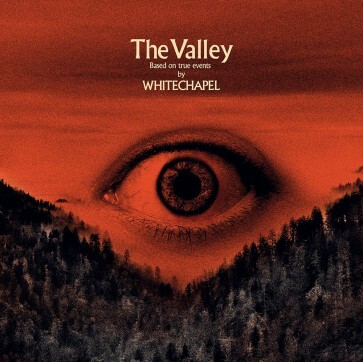 If you’ve not heard “The Valley” as yet, check out our review! Playthrough: “Exothermic Chemical Combustion” from Allegaeon! Documentary: “Apoptosis” #2 from Allegaeon! NEWS: “Vanitas” music video from Revocation! 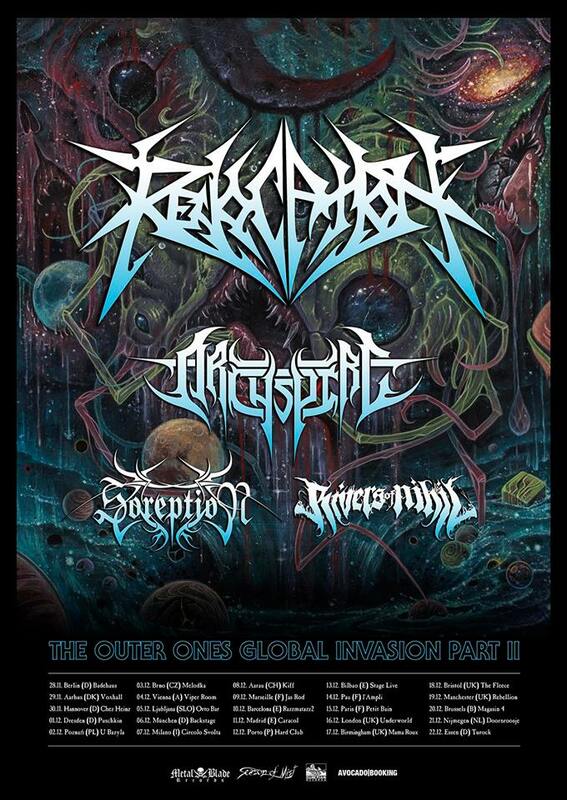 Shot on their November and December European tour, Boston Massachusetts Death Metal quartet Revocation have borrowed the filming and editing skills of Rivers of Nihil Guitarist Johnathan Topore to create a music video for “Vanitas”. 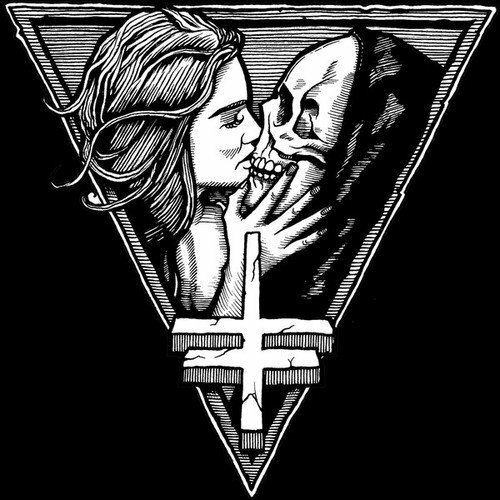 The single comes from the bands current album “The Outer Ones” which is out now via Metal Blade Records. NEWS: “Extemophiles (B)” from Allegaeon! 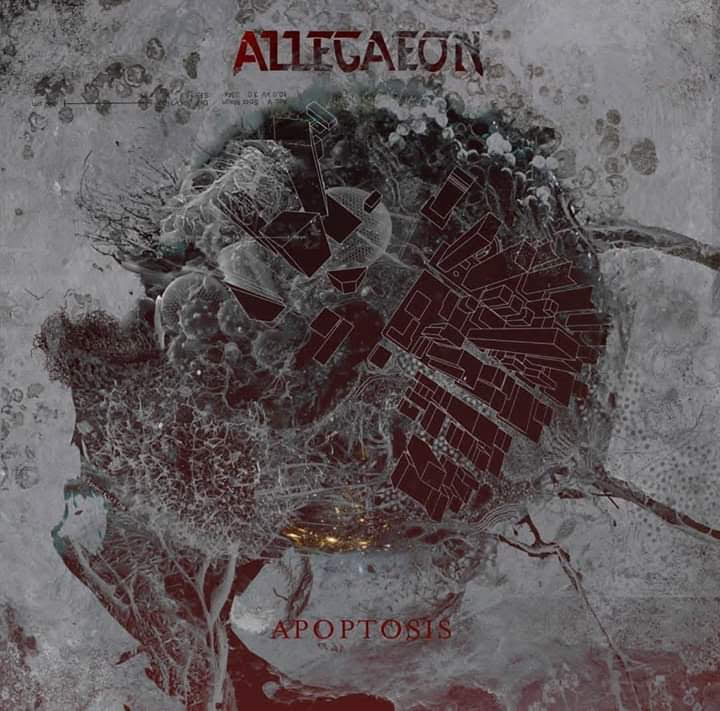 Denver Colorado Modern Melodic Technical Death Metallers Allegaeon have their latest offering “Apoptosis” slated for an 19th April appearance via Metal Blade Records. New single “Extemophiles (B)” has been given the music video treatment and is already a live favourite having been witnessed during the Summer Slaughter Tour last year!